The settlement Beldibi is a popular holiday destination and is situated in the beautiful place of Antalya right by the sea surrounded and protected by the steep slopes of the Taurus mountains. This is the resort for a quiet relaxing holiday with its variety of accommodation types and activities. Traditional BBQ and Turkish delicacies are presented to guests. The restaurant, which meets with the blue of the Mediterranean, serves fresh seafood prepared with care. Especially Sushi is presented to the guests by blending the traditional flavors of Japanese cuisine. It is served with the most favorite and favorite presentations of the well-known and popular Italian Cuisine. 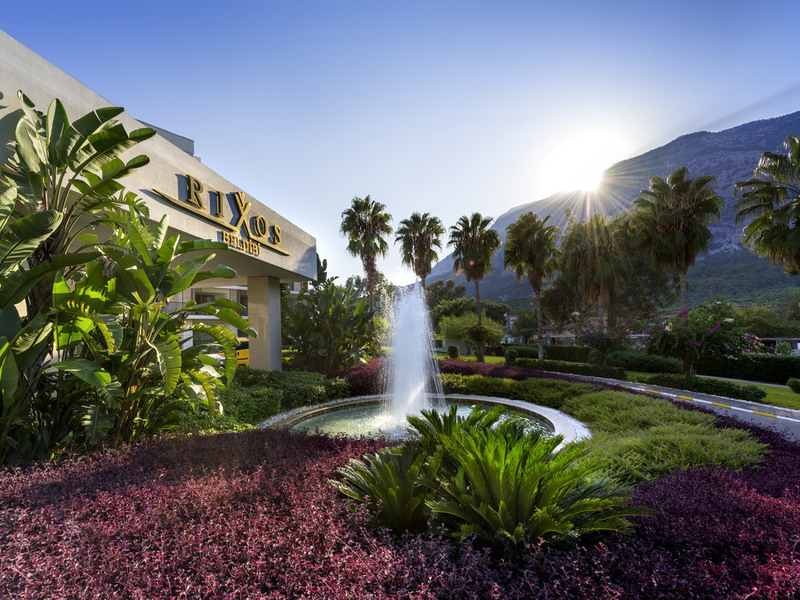 The main restaurant of Rixos Beldibi provides an open buffet, serving a wide range of distinctive global dishes. Breakfast, brunch, lunch, dinner and night meals are served from 7am until 2am in the morning. The Lobby Bar is located in the reception area and offers more than just a bar with its elegant and aesthetic decoration, quality music programming and relaxing atmosphere. The bar has a terrace and serves special local and imported drinks. Relax at the Lotus Bar while sunbathing by the pool. Ice-cold drinks and cocktails make your stay absolutely enjoyable. Providing services on the beach, the Beach Bar offers refreshing alcoholic and non-alcoholic drinks and cocktails. The Irish Bar opens its doors for entertainment accompanied by the cool Mediterranean breeze before or after dinner. The rhythm of the bar rises towards the evening and the atmosphere is heated with live music and DJ performances. Providing services at the fitness and health centre, the Vitamin Bar adds energy to your day with fresh-pressed juices.